Join us for a pajama party in the gardens! 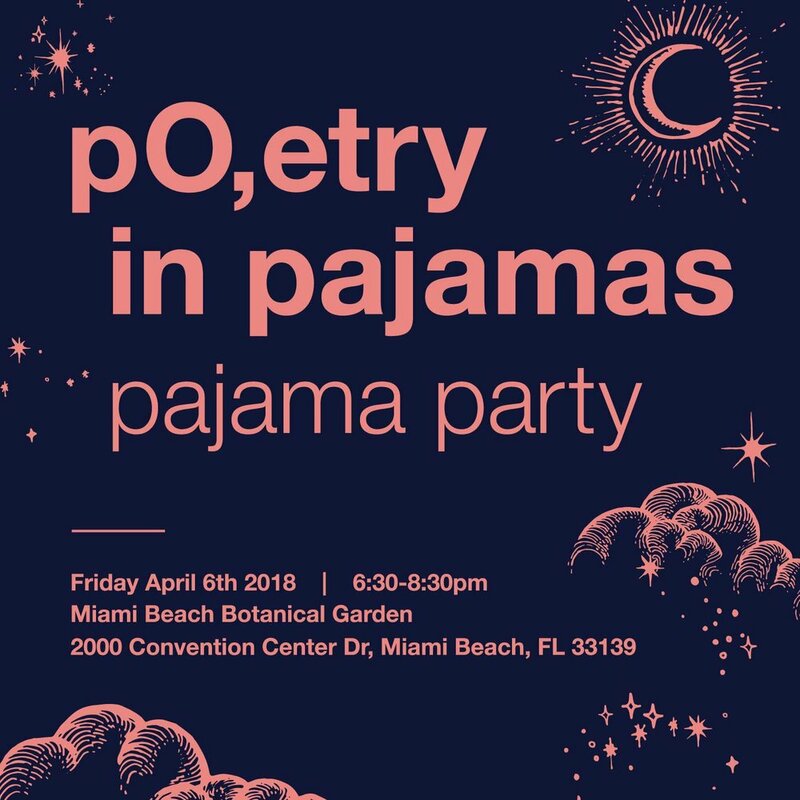 Staged in a giant bed at the enchanted Miami Beach Botanical Garden, Poetry in Pajamas is an open mic for children of all ages to recite poetry in their pajamas! Families welcome! Take a break from everyday worries to listen to children of all ages recite poetry (in their pajamas), led by brothers Sam and Simon. Miami's own Afrobeta provides the music, and there will be snacks from Edible South Florida, and a Dreamcatcher installation under the banyan tree by fiber artist, Kandi Stirman. It's a poetry dream come true. Suggested dress code: Pajamas and slippers. Brothers Sam (9) and Simon (6) started reciting poetry in their pajamas from the bottom bunk of their North Bay Village bunk bed. Little by little they started to receive other poems from kids in their pajamas, and that’s what inspired this project. Their mom, local artist Sara Kaplan, was enamored with the magic of the boys reciting poetry and shared it with her social media world. Poetry in Pajamas believes in empowering kids' voices and ideas through writing, reading, and understanding poetry.